A while back at a Pi General Meeting during the members helping members session, I was asked how to include the month and day in the Finder Menu bar clock. 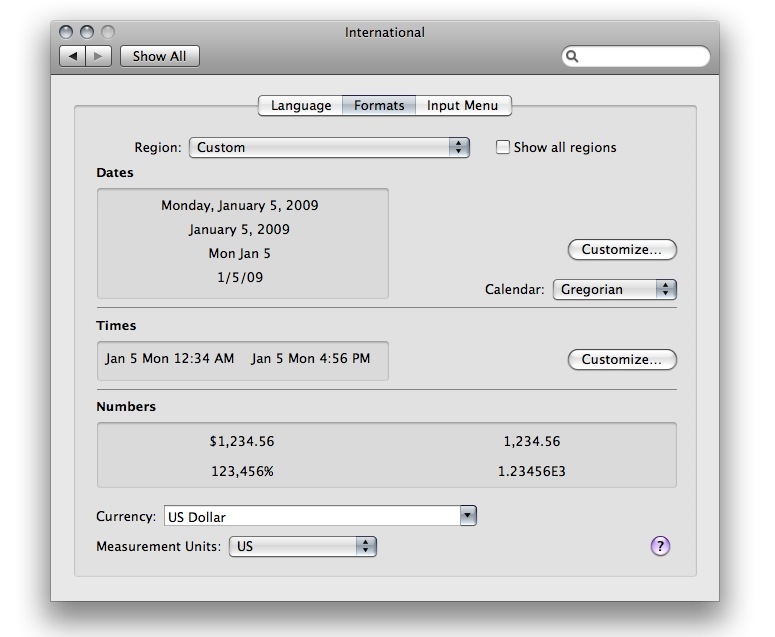 I thought it was a simple adjustment in the Date & Time setting in System Preferences. I navigated there and quickly learned, nope, no such option. My answer ended up being you can’t within Leopard, but there are third party applications and doing a search in versiontracker.com should help them find one. Not long after that encounter, I discovered on the VMUG (Virginia Mac User Group) Web page that Leopard is indeed capable of doing exactly what the person had asked. The steps are a little involved, but nothing to complicated — even a caveman can do it! 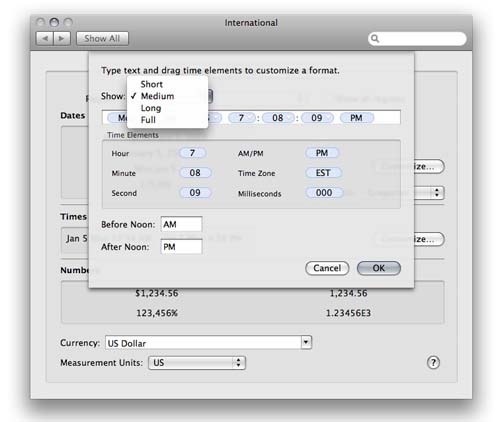 In the top row, select the International setting. Select the Formats tab at the top. Drag selections into the box and arrange in the order you ultimately want displayed. Select (highlight) the entire date within the box and Copy to clipboard. Click OK and you will be back to the International settings page. In Times section, click the Customize button. In Show: dropdown menu, select Medium (Figure 3). Paste the date you copied to the clipboard. Add spaces as required to make the date and time more readable. 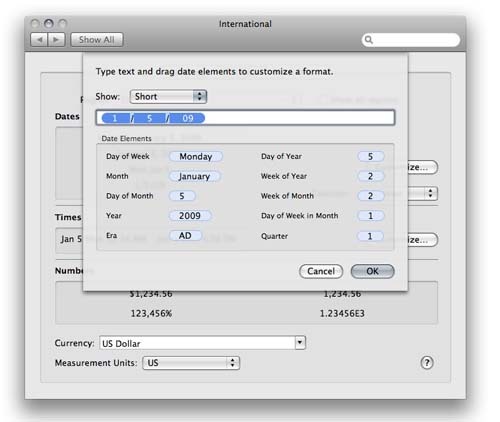 While this action works well in Mac OS X Leopard, it has not been tested in any of the previous operating systems. Use at your own risk. 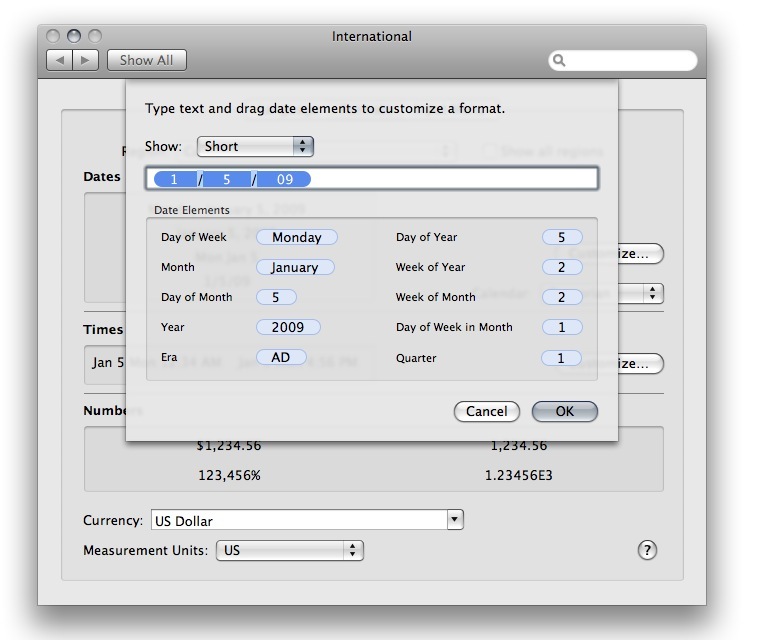 Also note that these changed settings for the menu bar will also be reflected in folder and file dates in Finder (Figure 4). 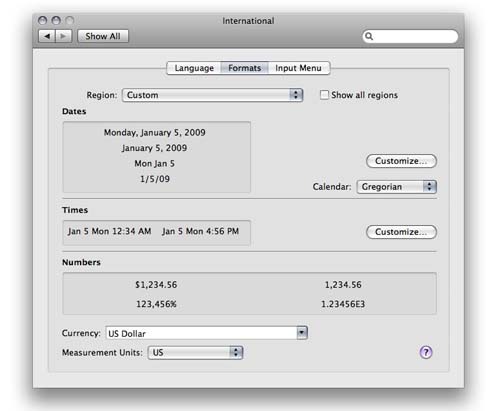 For me, the altered date display in Finder is not convenient, but it is worth it having a comprehensive date and time in the menu bar. 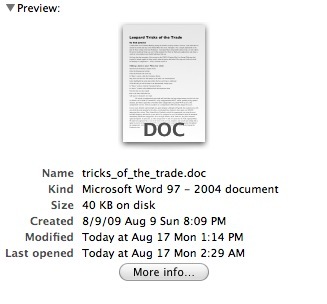 If you have discovered other operating system “tricks of the trade,” pass them along to the Journal editor and they can be incorporated in a future edition of this publication. Send them to: editor@wap.org.